The Bauer Supreme 2S Pro hockey stick is lighter, stronger and more explosive than ever before. Source Exclusive, The Best Value In The Game. Period. 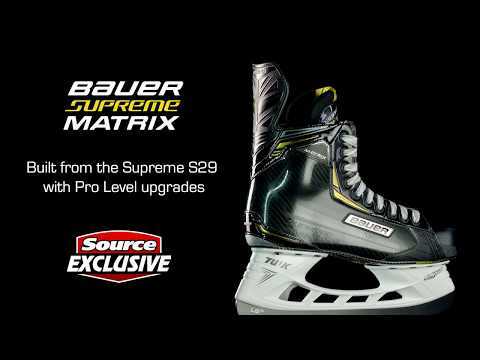 The 2018 Bauer Supreme Matrix hockey skates are designed from the Supreme S29 with Supreme 2S upgrades. With an improved Mid-Kick and new shaft technology, here is CCM's new Super Tacks AS1 hockey stick. Step into the future now with the state-of-the-art BAUER 3D Skate Lab available at Source For Sports. Bauer's Nexus 2N Pro and 2N hockey sticks have a mid-kick flex and a high performance blade to shoot like a pro. The Bauer Nexus 2N skates for 2018 are designed to provide ultimate comfort leading to superior performance. The Bauer Supreme 2S Pro skates are more proof of why Bauer is topping the charts in the hockey skate category. 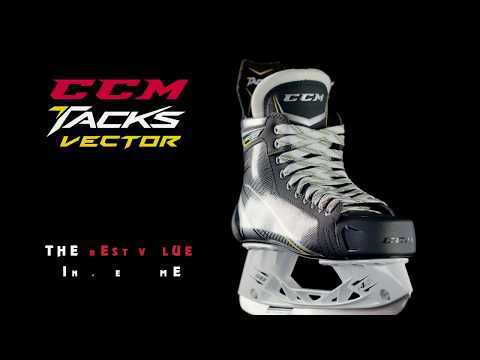 Expect comfort, mobility, power, and performance from the Source Exclusive CCM Tacks hockey skates. 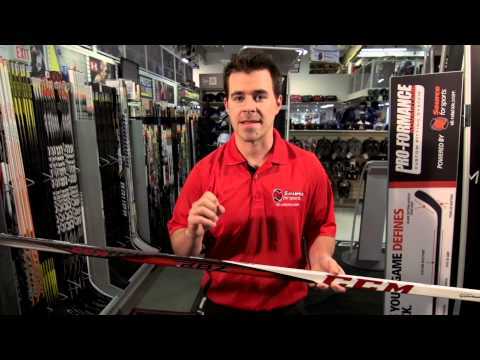 CCM's JetSpeed stick combines added power with improved control for the well-rounded hockey player. The weight distribution and balance points on the new TRUE A-Series make this stick feel light as a feather when passing, shooting, or stickhandling. The most important piece of equipment is your helmet. In a high-impact sport like hockey, proper head protection is a must. The new CCM Jetspeed FT1 protective gear gives you the best protection possible. The Super Tacks are rebuilt as the CCM Super Tacks AS1 skates featuring new technology. Available today, the new Bauer Vapor 1X Lite hockey stick puts greater performance in your hands, with even less weight. 2017 marks the 15th anniversary of the Source Exclusive Bauer Vapor X:Shift skate. The CCM RBZ hockey sticks have always delivered exceptional responsiveness and shot power and the new CCM RBZ FT1 stick is no different. The new CCM Ribcor Trigger stick has been completely redesigned for 2017 with numerous new performance features to help you elevate your game. At Source For Sports, we take your game seriously. The Precision Balance Skate Sharpening and Contouring System can elevate your performance and your game. Developed directly with Bauer and Source For Sports, the new Source Exclusive Bauer Supreme Matrix hockey stick is engineered to deliver top of the line performance and features at an affordable price. The CCM Fitlite helmet combines the advantage of a fully customizable lightweight fit with innovation in safety protection. A pro-level skate, without the pro-level price. The Bauer Vapor X:Shift Pro hockey skate features incredible value offering upgrades from the Vapor X900. Updated for 2017, the new Bauer Supreme 1S stick is one of the most technologically advanced sticks ever made to give you the most powerful and accurate shot possible. Based off the CCM Ribcor 66K skates, our Source Exclusive Ribcor Titanium hockey skates are improved with features from the highly regarded Ribcor 70K skates. The Source Exclusive CCM JetSpeed Vibe skates include upgrades from higher end CCM skate models to deliver superior performance and excellent value. Upgraded with Source Exclusive features, the CCM JetSpeed Control ice hockey skates include upgraded features from the JetSpeed FT1 and FT390 skates for offering the best value in hockey skates. The Bauer Vapor 1X skate will give you the extra boost of speed to blow past a defender or hustle back to break up a scoring play. The Source Exclusive Bauer Supreme Comp protective gear provides substantial protection with Source Exclusive upgrades to give you the protection you need to play at your most confident. The Source Exclusive Bauer Supreme Matrix protective equipment provides the best value for protective gear available, delivering top of the line protection and Source Exclusive upgrades without the pro level price. Source For Sports and CCM Goalie have upgraded the R1.9 and R1.5 Premier goal gear collections to elevate your game between the pipes. The new CCM Ultra Tacks hockey skate maximizes your energy for striding and attacking the net. The new 2016 CCM Super Tacks hockey stick has everything you need: performance, accuracy and durability. The 2016 CCM Super Tacks skate has a fully anatomical heel lock and 360º fit around the foot for a truly customized fit. The new Bauer Supreme 1S hockey skates are designed for lightweight comfort and a custom fit. The great thing about being a goalie is that you don't have to go anywhere on the ice to create anything on the ice. Let the game come to you. 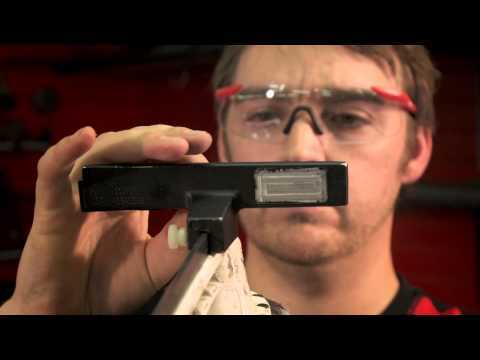 The Bauer Nexus 1N hockey skate has the deepest and most volume of all the Bauer skates. 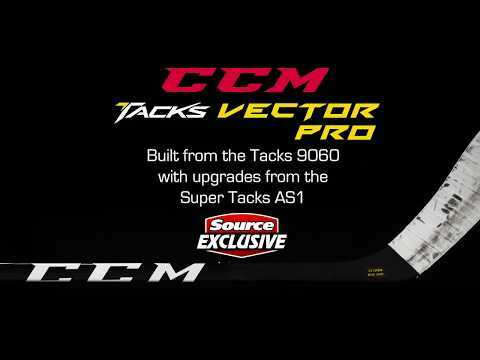 CCM is giving you yet another reason to get behind the Tacks line in 2017 with the Super Tacks 2.0 hockey stick. 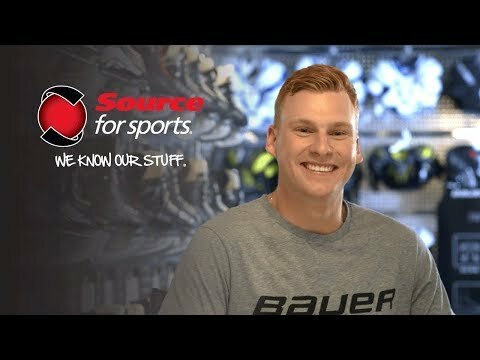 CCM and Source For Sports have joined forces to help you keep the puck on your stick, with the aptly named Source Exclusive RBZ Control hockey stick. Based on the CCM 270 models, the CCM Quicklite Control protective family features enhancements from the CCM 290 line. Based on the Vapor X800 series of protective gear, Source For Sports has upped the ante with the Source Exclusive Bauer Vapor X:Velocity line. Check out the Covert Krypto Pro hockey gloves from Warrior – available only at Source For Sports. Warrior and Source For Sports have teamed up to bring you the Source Exclusive Covert Krypto and Covert Krypto Pro hockey sticks – available only at Source For Sports hockey retailers. Our Source Exclusive Nexus Havok skates are built off the Bauer Nexus N7000, but with upgrades to create a skate that gives you superb value. Based on the Bauer Supreme S170 skates, the Source Exclusive Supreme Comp hockey skates will make every stride count on the ice. 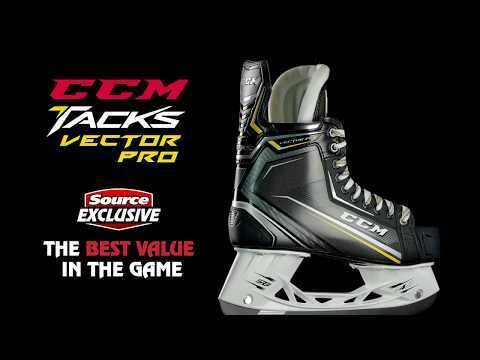 Built off the Tacks 6092 with Ultra Tacks features, you’ll be ahead of the game in the CCM Vector Pro skates offered exclusively at Source For Sports. CCM Tacks Vector Plus skates are packed with upgrades including elements of the Tacks 6092 skates and Ultra Tacks giving you excellent value. 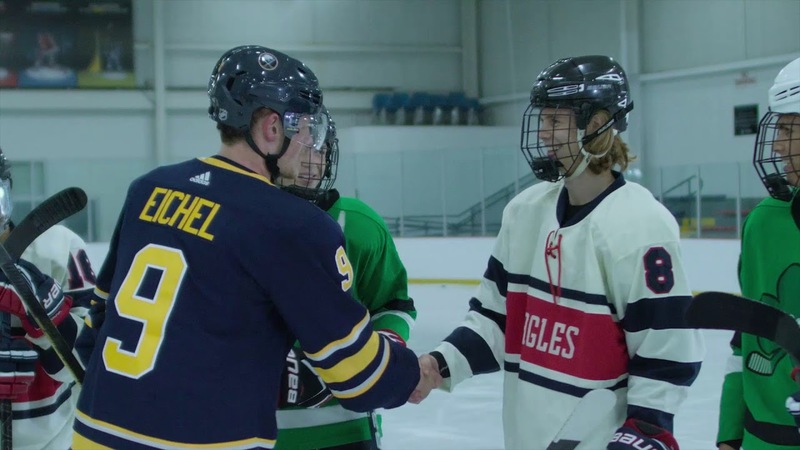 The Bauer Prodigy kids hockey protective equipment was designed to help young children and parents gear up and get prepared for the game they love. The new JetSpeed FT1 skates from CCM will help bring your speed to the next level, so you can fly past opponents in pursuit of the puck. The new E-Flex III equipment builds on the innovation of its predecessors by adding even more advancements to optimize performance. Updated for 2017, the Bauer Nexus 1N 2.0 hockey stick will give you the ultimate feeling of control. If you’re looking for a hockey stick with a familiar feel but has the latest and greatest technology, TRUE’s got you covered with the XCORE 7. Introducing the TRUE XC9 hockey gloves featuring never-before-seen interchangeable ZPALM technology. True Hockey’s A4.5 SBP hockey stick has features that you would expect to see in a much more expensive stick. We have added components to the CCM RIB 47K hockey stick model to create our Source Exclusive CCM Ribcor Titanium stick. Based on the N7000, the Source Exclusive Bauer Nexus Elevate equipment models have added features and upgrades taken from the N9000 line. The Source Exclusive Supreme Elite hockey skate is built from the Supreme S170 model to give you great value and performance. The Source Exclusive Bauer Vapor X:Shift hockey stick is based on the European Team stick, but we have added some upgrades to give great value. The Bauer Vapor X:Shift line of protective hockey equipment provides great value and is available only at Source For Sports. The Bauer Vapor X:Velocity hockey skates include many features from the Vapor X800 & X700 skates, but offered at the same price as the Vapor X600. The Bauer Re-Akt hockey helmet is the first helmet designed specifically to manage rotational forces and provide protection against the different impacts.